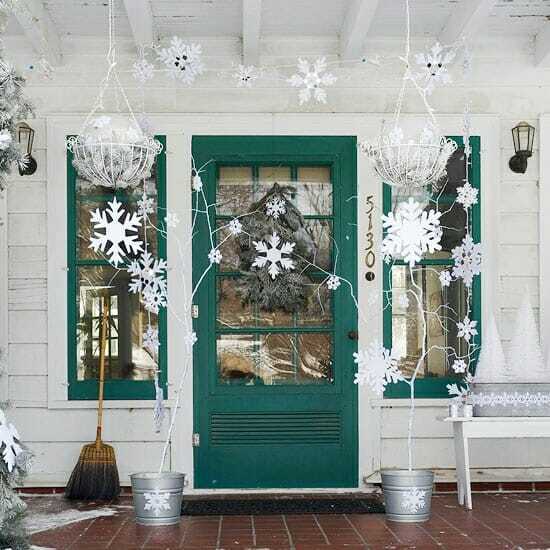 Turn an ordinary doorway into an extraordinary holiday accent with garland. 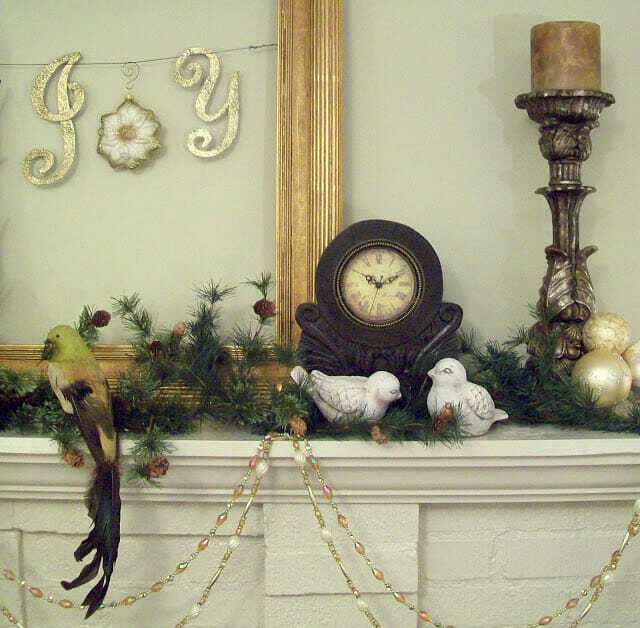 Traditional pine garland will certainly add a cozy effect; but you can also think outside the box. Consider hanging a garland made of pine cones, berries or you can even make one out of paper or plastic snowflakes. To really make the garland pop, string some lights through it. Nothing says Christmas more than the traditional candy of the season; peppermints. Turn these candies into a mouth-watering decorative accent. Fill a large glass jar, vase or bowl with peppermints or candy canes and use it as a piece of décor. Place it in the center of a table, on a side table, in your entryway or even in your bathroom. This decorative accent can double as a special treat for your holiday guests. If your home isn’t outfitted with a place to light the Yule log, you can always have one installed. A fireplace is a fantastic decorative accent that will be sure to create a cozy and warm space that your holiday guests will love to gather around. Not only will it add to the spirit of the holiday season, but a fireplace will add value to your home all year long. Put a modern spin on leaving a message for Santa. Hang up a chalkboard in your living room, kitchen or entryway and leave a message to Santa on it. You can get your guests in on the fun by having them add their own special messages to the Big Guy. The tree isn’t the only place to hang ornaments; they are a great way to dress up a window valance. Simply gather a collection of ornaments and string fishing line through the hook holders. Hang several ornaments along a valance by tying the fishing line to it. 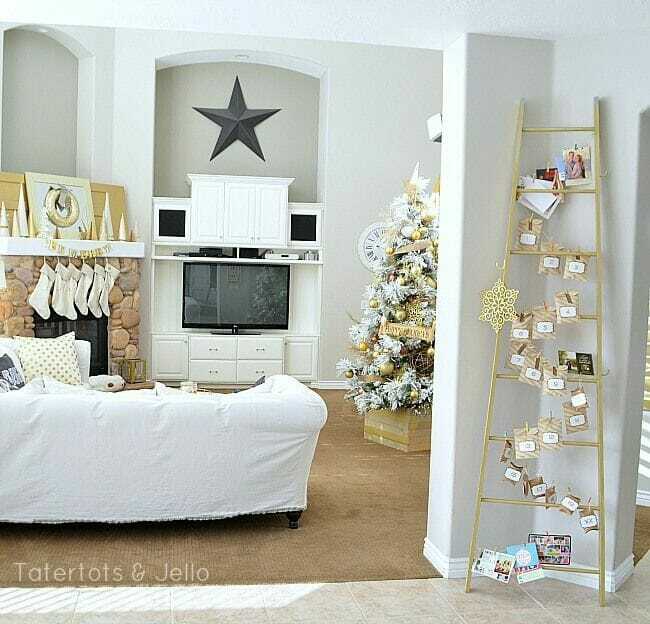 Add some interest by alternating the colors and the heights the ornaments hang. Your guests will immediately feel the spirit of the holidays when they pull up to your house and are greeted by a decorative mailbox. You can drape your mailbox with a collection of garland, berries and bows. You can even illuminate it by wrapping lights around it. Lead your holiday guests to your front door with candles placed inside large mason jars. Fill the bottom of the jars with Epsom salt (to create the look of snow) and set battery-operated candles inside. Set the jars along the length of your walkway, leading right up to your front door. With these festive décor ideas, you will be sure to spread good cheer to all of your guests this holiday season. Uma Campbell is a freelance writer posting for Decorilla from Southern California. She loves writing about home decor and design trends. She’s excited to decorate her home and have it holiday ready for the guests she’s expecting.